The Supreme Court, setting aside disciplinary actions taken against a lawyer by Bar Council of India, has observed that initiation of disciplinary proceedings against a lawyer for his acts which has nothing to do with the professional conduct, is improper and without jurisdiction. The Bar Council of India had upheld the order of Chhattisgarh Bar Council which had held advocate Kaushal Kishore Awasthi guilty of professional misconduct, on the basis of a complaint filed by his client. The Bar Council of India, had however, reduced the term of suspension of license from 2 years imposed by the state bar council to one year, along with cost. The lawyer assailed the order before the apex court. 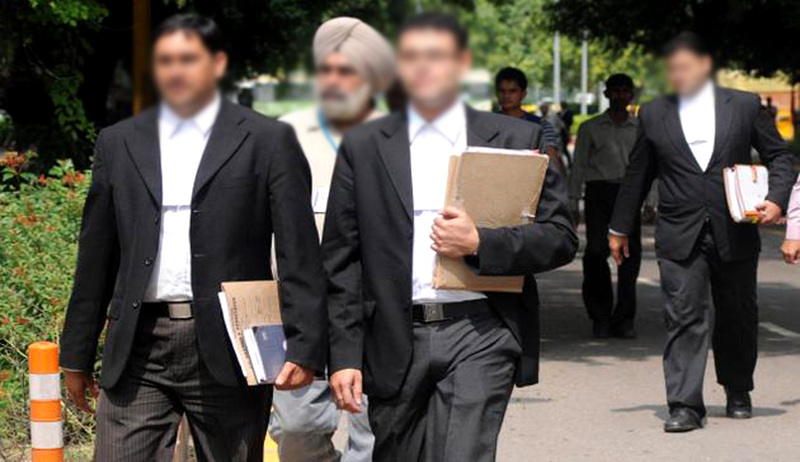 The sole argument raised in the appeal before the apex court bench of Justice AK Sikri and Justice Ashok Bhushan was that even if the allegations contained in the complaint are taken to be correct on its face value, these do not amount to committing any misconduct as per the provisions of the Advocates Act and Rules framed thereunder. The lawyer was the advocate who appeared for complainant in a suit of declaration he had filed. The said suit was settled between the parties and the complainant was declared owner of 0.03 acres of land. The dispute between the complainant and his lawyer arose when the complainant decided to sell his share of land to one person, the lawyer produced an objection letter against the proposed sale deed and objected for registration of the said sale deed on the ground that the complainant did not have full ownership of the proposed land and the market value was also shown less in the said sale deed. His justification for raising objection, therefore, was that since the land was being sold without clearing his debt, it could not be done. The bench referred to Rule 22 under Chapter II of the Standards of Professional Conduct and Etiquette which proscribes an advocate from directly or indirectly making a bid for or purchase either in his own name or in other's name for his own benefit or for the benefit of any other person any property sold in the execution of a decree or order in any suit, appeal or other proceedings in which he was in any way professionally engaged. “Even as per the complainant's own admission, it is much thereafter that the complainant intended to sell the property in question when he found himself in need of money. It is this sale which the appellant tried to interdict. He was not doing so in the capacity of an Advocate. As per him, the complainant was not authorised to sell the property without repaying his debt,” the bench said. Whether the appellant was right in this submission or not is not relevant. What is relevant is that this act has nothing to do with the professional conduct of the appellant”, the Bench said and set aside the order holding that the initiation of disciplinary proceedings against the lawyer by the State Bar Council was improper and without jurisdiction.